DRAFT ANALYSIS: "A versatile switchman who loves a scrap and and positions himself well up either end." Connor Idun is a versatile medium-tall who can play at either end, with a fierce attack on the ball and a competitive desire to beat his opponent. He primarily played in defence last season, and has spent time down there this year as well, but with the Geelong Falcons list this season, the strength in defence, and the likes of Tom McCartin drafted last year, Idun has taken the opportunity to show off his versatility with plenty of minutes inside 50. He still seems most comfortable in defence because of his strength, spoiling and positioning, and he can play as that lockdown defender, or intercept runner, that helps create some spring out of the back half. Idun has no problem getting in the head of his opponents, not afraid to let them know when they have messed up or should have gone harder, and he is the type of player that will take any role the coach gives him. He could improve his set shot goal kicking and consistency, as well as further build his endurance, but it is okay for a tall. His height of 190cm means he will likely play as a third tall at AFL level should he be selected, but he does have the capability to play small or tall, and at either end. Idun is a prospect who could fill a number of roles, therefore would be attractive for his versatility. While it is felt his preferred position is down back, he can do enough up forward to provide a target and hit the scoreboard. His other traits point to being a really solid defender and while he is just the 190cm, Idun has the speed and strength to play on either talls or smalls. His aggression at the contest and desire to never be beaten by his opponent and get in their head is a feature of his game. He can usually walk the walk to go with the talking, with Idun being very good one-on-one. Idun has shown he is capable of being too strong for smaller forwards, and too quick for bigger bodies, with only those who are dominant in the air – such as Western Australia’s Jarrod Cameron – troubling him. He has great closing speed and is able to spoil the ball away well, often going for the no-fuss approach and then a follow-up tackle to lock the ball in play. When playing up forward he uses his speed to dart onto leads and break away from his opponent. It is just his finishing that needs to be fixed up a little bit, as particularly towards the end of the year with silver service from Geelong’s top midfielders, Idun flourished inside 50 with plenty of opportunities. 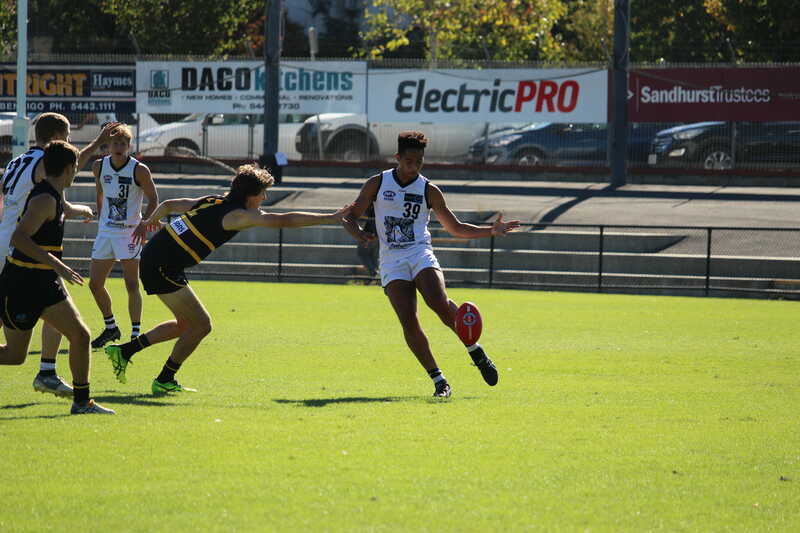 At the National AFL Draft Combine, Idun recorded a 2.945 20m sprint, showcasing his great acceleration. The improvements that Idun could make to his game to be more effective are his endurance, consistency, and for a more detailed improvement, his set shot goal kicking. He has no problem winning the ball inside 50 when he has the opportunities, but it is firstly getting more involved when the game is not going your way, and secondly applying scoreboard pressure when given the opportunity. He has missed a few gettable chances when kicking for goal, and if he develops as a defender as we expect him to, then it is obviously not an area that will be of great concern. But it is an area nonetheless he can improve on. His consistency and endurance go hand-in-hand with Idun able to build more consistency in games, and perhaps even spend time up the ground through the midfield, once he can improve his tank further. It is not the lowest endurance base, but certainly an area that can still improve and develop at the elite level. Connor Idun is a reliable defender with some impressive defensive traits who can also play forward when required. He has great closing speed, is good one-on-one and cleanly spoils the ball. He plays a negating role really well, and can still create some drive off half-back. Once he can build his endurance base further and develop greater consistency, he could be a very handy asset. Expect him to be more of a medium-term prospect, but one that clubs can look to develop and fast track into the senior side if they needed to. Worth ignoring the size given Idun’s athleticism and strength that allow him to play on nearly any opponent.